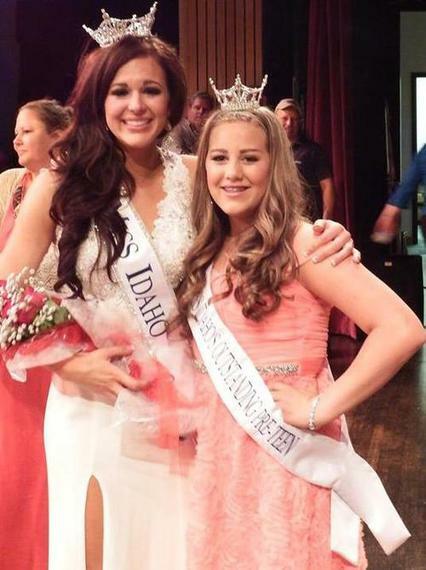 A few weeks ago Sierra Sandison was a contestant in the Miss Idaho Pageant. She wasn't a diabetes advocate or even a person who widely shared with her friends that she was diagnosed with Type 1 diabetes at the age of 18. Much has changed since then. Sierra was backstage at Miss Idaho during the first night of competition when she had a chance meeting with Miss Idaho's Outstanding Preteen, 12-year-old McCall Salinas. Sierra stepped out of her dressing room and heard these words: "Oh my gosh, is that an insulin pump?" Sierra told me that her stomach "flip flopped" when she realized that McCall recognized her insulin pump for what it was. I thought, "Oh no, people are going to notice, I was hoping that it was little enough that no one would notice." Sierra's second reaction to McCall's words, "I got scared," but then McCall quickly explained that she also had Type 1 diabetes and that she didn't use an insulin pump because "she was scared of what her friends would think and of how it would look." It was during this brief encounter that a diabetes advocate was born. Sierra Sandison, a 20-year-old woman who was diagnosed with Type 1 diabetes only two years prior, was about to make a decision that would change her life. She could disconnect from her pump when she took the stage in her swim suit or leave it on and help McCall to not feel quite so alone. 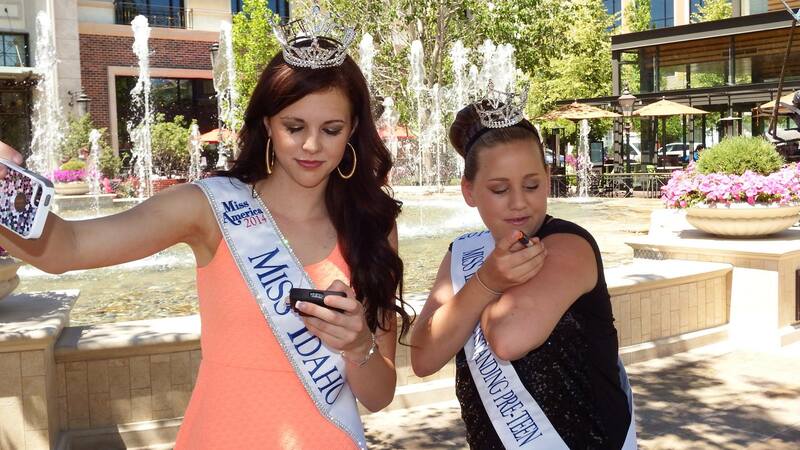 At the time that their exchange took place Sierra told me, "I had no idea that I would even make the top 10, let alone become Miss Idaho -- but I thought, I have to do this for McCall." During the interview I mentioned to Sierra that I believe people become advocates when they realize that they care more for another person than they do for themselves. This was that moment for Sierra. When she left that conversation with McCall she was a different person, and that person didn't want McCall to be worried about what other people would think. It only took Sierra a second to decide that she was going to walk on stage wearing her insulin pump, "I have to do this for McCall," she thought. "It was really scary (to walk out on stage) but thinking about McCall gave me a whole new confidence." Suddenly Sierra didn't care what the audience or the judges thought and the prospect of becoming Miss Idaho or Miss America became secondary. When she came off stage McCall walked up to Sierra and said, "now I want to get a pump." Sierra "balled her eyes out" when she realized that something she had done helped another person to find the confidence to be him or herself. If this story stopped here it would be amazing and completely worth sharing. It's a story of two strangers who find each other by chance, both unaware of how much they are in need of the other's support. A simple and beautiful story of humanity, empathy and the power of sameness. But social media had other plans for this moment and later when Sierra shared a photo of herself and McCall on Facebook, along with a brief description of how they met backstage and the events that transpired immediately after, Sierra found a community of loving people living with diabetes that she didn't know existed -- and they had her back. In an instant 20-year-old Sierra Sandison went from being a hopeful pageant contestant who got caught up in the desire to support a little girl, to the face of confidence and security for people everywhere who live with insulin dependent diabetes. Her image was about to inspire countless thousands to share pictures of themselves with their insulin pumps on social media. Sierra's very unintended coming out party was suddenly and gleefully part of the ethos. Now everywhere you look on Tumblr, Facebook, Twitter, Instagram, Google+ and the rest of social media, people with diabetes are showing their pumps to the world in an effort to become invisible. The chain of events is continuing on. Sierra's decision to support McCall has become a phenomenon of strangers holding up their pumps in support of Sierra, and in support of themselves. We are witnessing humanity at it's best, we are witnessing people whose desire to support a stranger is helping them to overcome the same insecurity that brought Sierra and McCall together. Today, because a little girl noticed an insulin pump on a stranger's hip, people who live with diabetes are a lot closer to that goal. I told Sierra that my hope is that one day soon another girl will walk onto a stage wearing an insulin pump, and that no one will notice. No one will post a picture, ask for an interview or bat an eye. That's the world I want to live in, it's the world McCall needs and the world that Sierra Sandison's bravery brought us all one-step closer to... when she showed us her pump. This story originally appeared on Scott Benner's Type 1 diabetes parenting blog, Arden's Day.